Thesis on hold... for now I have an headache on fire. Hi! I would like to welcome all the people who just recently started visiting my page ;) And thank all those who keep me going! Talking about that... Sometimes people really inspire me without even knowing it. And this post is a bit about it. I put a hold on the party recipes series to present this dinner I made at home back before Easter for me and my lovely brothers. You know... I thought they would really hate it. I had just arrived in Aveiro from Munich and both my parents were travelling to different corners of the world. There was some salmon in the fridge that was somehow meant to be grilled. Numa taça alta, misturar gentilmente o salmão, o alho, a cebola, os coentros, o sumo de limão, a pimenta, a massa de alho e o sal. Reservar. À parte, misturar os morangos, o vinagre balsâmico e o açúcar. Reservar. Finalizar com o molho de iogurte e as sementes de sésamo. Mix the salmon, garlic, onion, cilantro, lemon juice, pepper, garlic paste and salt. Set aside. Finish with the yogurt sauce and sesame seeds. 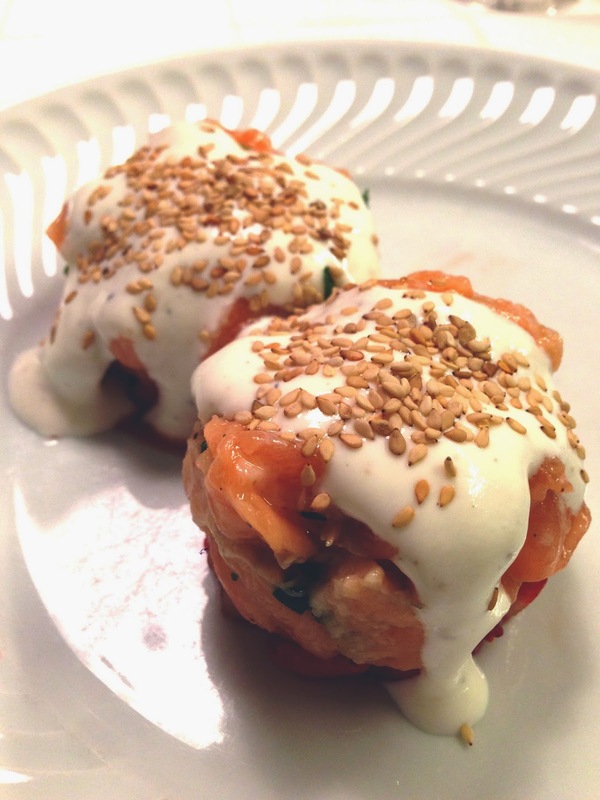 Inês, salmon is always great but raw salmon or salmon tartare is always even better - this looks quite delicious. Glad that you took the time to try out this recipe! It looks like this is going to be one long and hot weekend weaterwise - lots of sunshine. Hope all is well in Munich - may the (albeit short) holidays be terrific and full of wonderful inspirations for your nice blog! Ganz viele liebe Grüsse aus dem sonnigen Bonn - got to go and poach salmon (no joke) for the FFwD group. 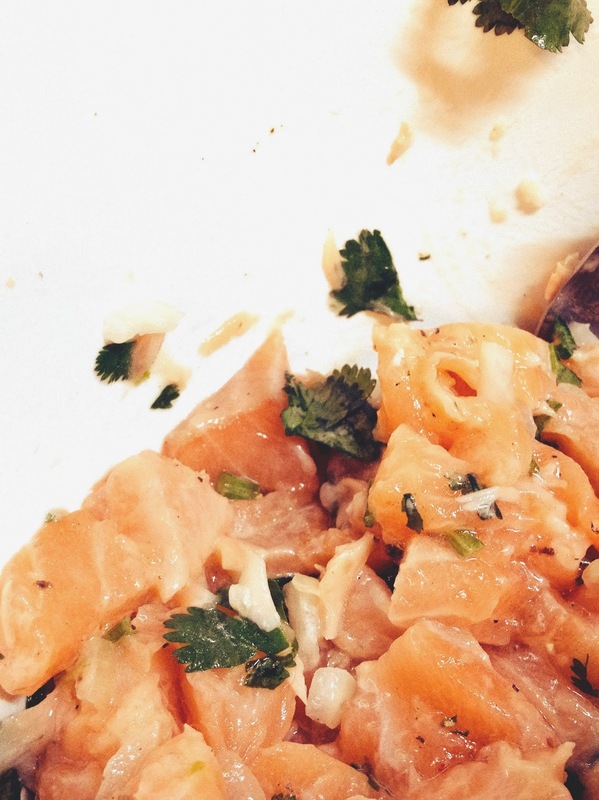 I've never made salmon tartare. It looks and sounds delicious! Que maravilha de sugestão e eu que adoro tártaro, já fiquei a salivar!! Well I'm so glad you decided to return! I love all things raw salmon and this sounds great! A very interesting dish, Inês. How did it all turn out. 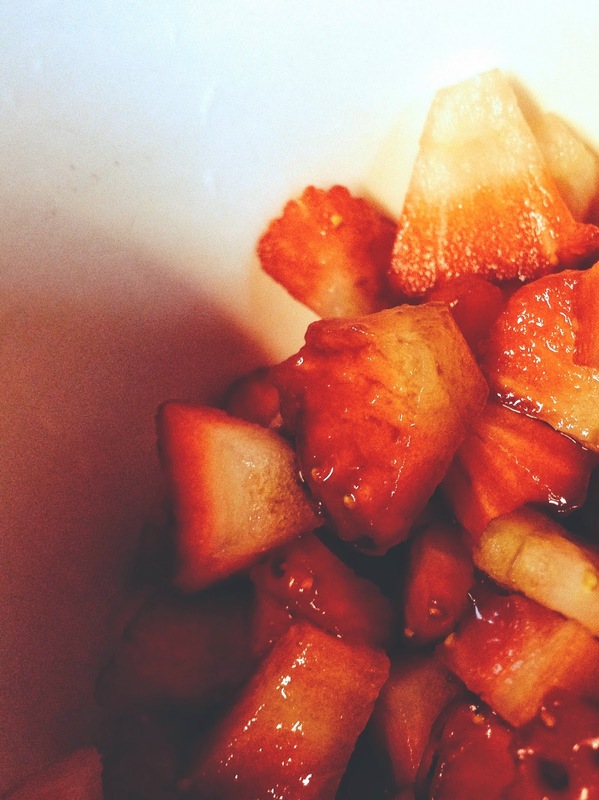 I'm all for strawberries with balsamic and black pepper even. Never thought to serve it with salmon though.